STANFORD, CA – Putting to rest months of uncertainty, the White Plaza traffic circle has built up the confidence to reveal its true orientation. Last Thursday, the area of pavement and landscaping announced that it was, in fact, clockwise. Much of the student body met this news with tacit acceptance, noting that they had suspected the truth for quite a while. The circle’s transition was not without hiccups, with much of its daily through-flow still acting as if they should go to the right. 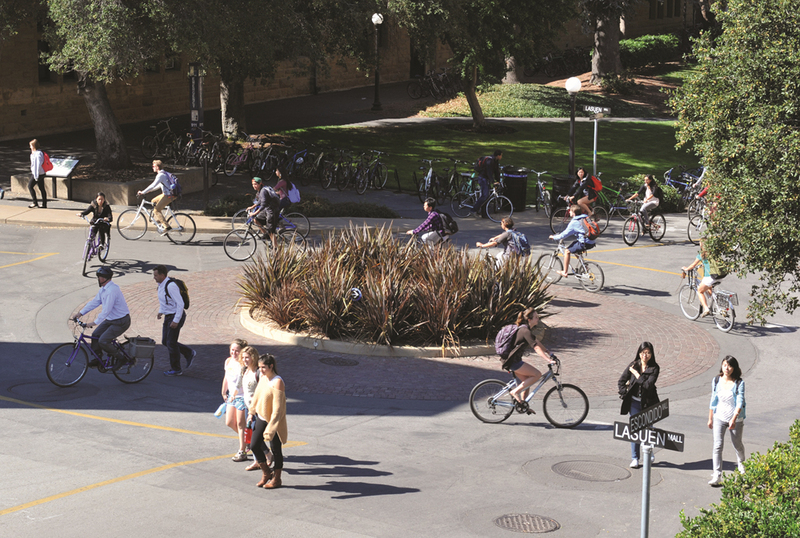 Eyewitnesses claim that even by 4:00PM, some bikers continued to go counter-clockwise, despite repeated insistence on the part of the circle and more progressive students.